Our 101-BB electric machines are ideal for indoor or outdoor dedicated wash bays. This electric unit needs to be ‘plugged-in’ to electricity and water. This is usually done with a trolley (festoon) line, which hangs above the vehicle, overhead and out of the way. 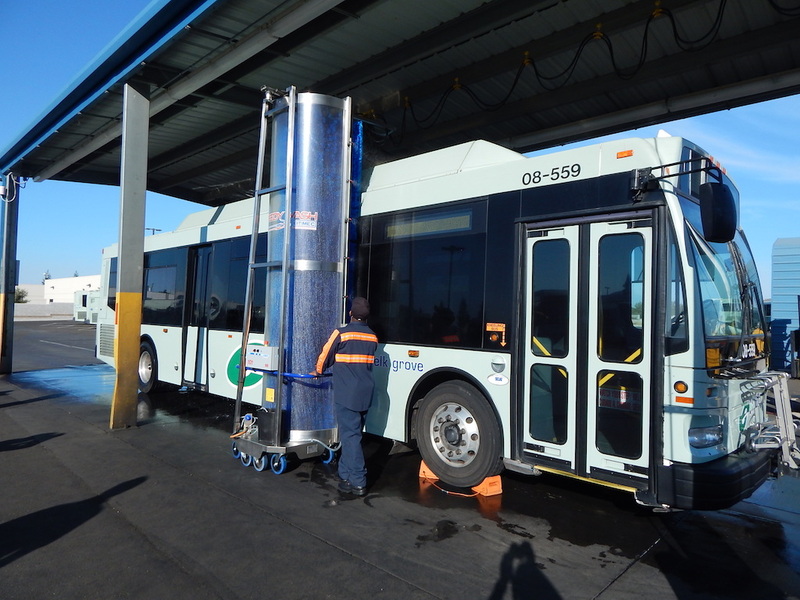 This super narrow model makes light work of washing small to medium vehicles, such as cars, limousines, vans, all the way up to full size coaches. The base is a narrow 2’8″ x 3’2″, but with Bitimec’s innovative engineering, this same size base now features a much bigger brush (4″ in diameter larger than the competition). 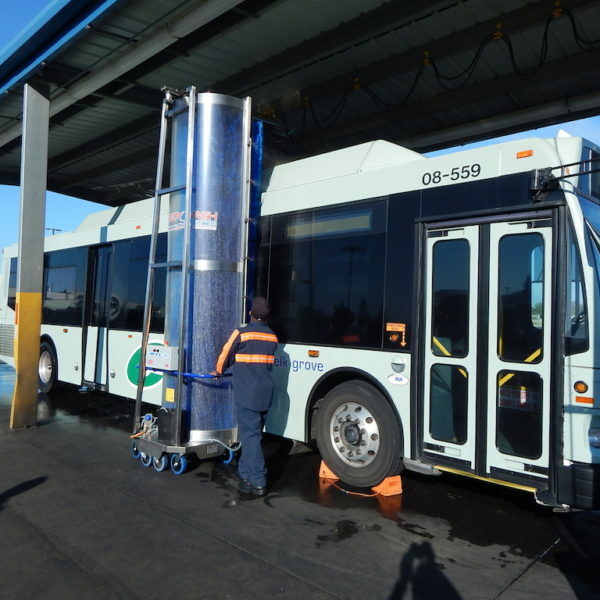 Are you looking for van and limo washing equipment? Wash-Bots 101 BB is a super narrow model, ideal for washing small limousine type vans, all the way up to full size coaches. The base is a narrow 2’8″ x 3’2″, but with Bitimec’s innovative engineering, this same size base as the competition is able to feature a much bigger brush!